Our 6 Panel Drug Test Cup is a CLIA waived and FDA approved POC (Point-of-Care) urinalysis cup. It is designed to be cost efficient as well as reliable. Our 6 Panel Drug Test Cup provides accurate results in just two minutes or less. Our 6 Panel Drug Test Cup is nominally priced at just $2.40 per cup. 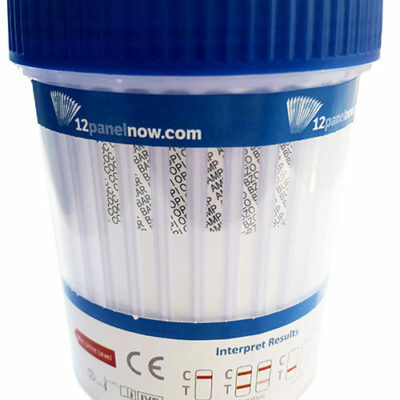 Order in bulk and avail our slashed prices on 6 Panel Drug Test Cups! Our 6 Panel Drug Test Cup is designed with a drip and leak resistant lid to ensure proper sanitation. Each of our 6 Panel Drug Test Cup comes with a peel and read label and temperature strip to authenticate the donor’s urine. Our 6 Panel Drug Test Cup complies to SAMHSA cutoff levels. The latest lower cut-offs make this the ideal urine analysis test for pain management and addiction screening. Our 6 Panel Drug Test Cup offers a 99% accuracy rate and is also very comprehensive to use for at home drug testing or workplace drug testing. It’s a fully integrated and self contained screening cup that requires no additional components or assistance. We recommend you to wait for 5 minutes to assess the results after the test has been taken. Although, do not wait longer than 8 minutes to translate the results. Our 6 Panel Drug Test Cup should be stored in a temperature monitored room( 36-78 degrees Fahrenheit). Remove the 6 Panel Drug Test Cup from their seals only when they are ready to use. Ensure that the 6 Panel Drug Test Cup, specimen, and/ or controls are brought to room temperature (59-78 degrees F) from the stored refrigerated temperature before use. 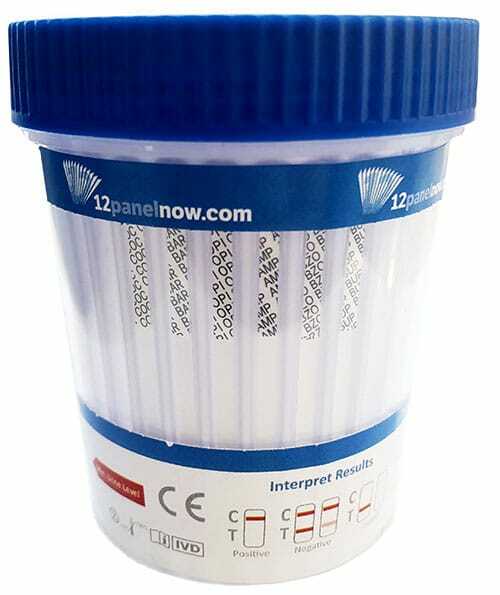 Use the 6 Panel Drug Test Cup as soon as possible after removing the seal. Make sure that the donor mentions initials and date on the body label. After the donor provides the urine specimen, screw the cap tightly and start the timer immediately. Make sure that the cap is secured tightly. Also remove the peel-off label. Observe the temperature strip 2-4 minutes after the collection of fresh specimen. A green color will appear to indicate the temperature of the urine specimen. The appropriate range for an contaminated specimen is 90-100 degree F (32-38 degree C). Drug test results are indicated by the presence or absence of colored band(s) in the result area of the test strips. Interpret the result at 5 minutes. Make sure to not exceed the timeline by 8 minutes. Affirm the positive test results by sending the cup and urine specimen intact to a certified toxicology laboratory.